For someone who isn't all that keen on early morning starts, I'm sure getting my fair share of them on this G Adventures Tour. 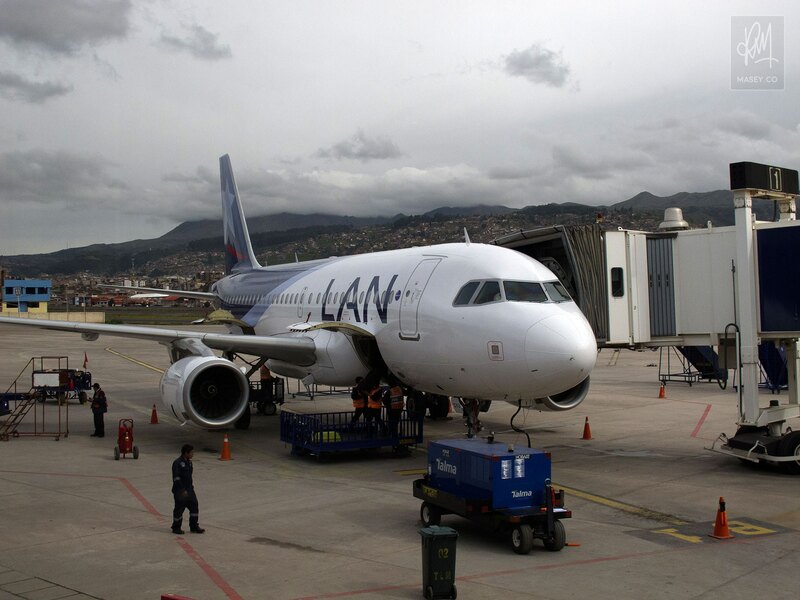 Today's early rise in Arequipa resulted in us shuffling like sleep-deprived zombies onto a LAN Peru flight bound for beautiful Cusco – the historical capital of the "Inca Empire", and the gateway for us on our journey along the Inca Trail to Machu Picchu. 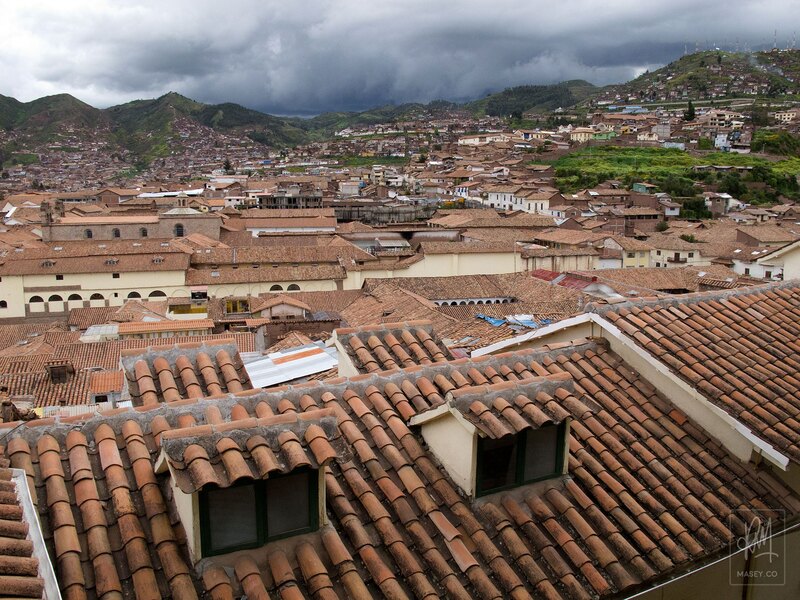 Once on the ground in Cusco, we climbed aboard our very own private G Adventures mini-coach and made our way through the centre of town through blocks of mud brick and white walled buildings featuring distinctive terracotta-roofing, until we made it to the top of a long bricked laneway leading off the main plaza, known as "Gringo Alley". 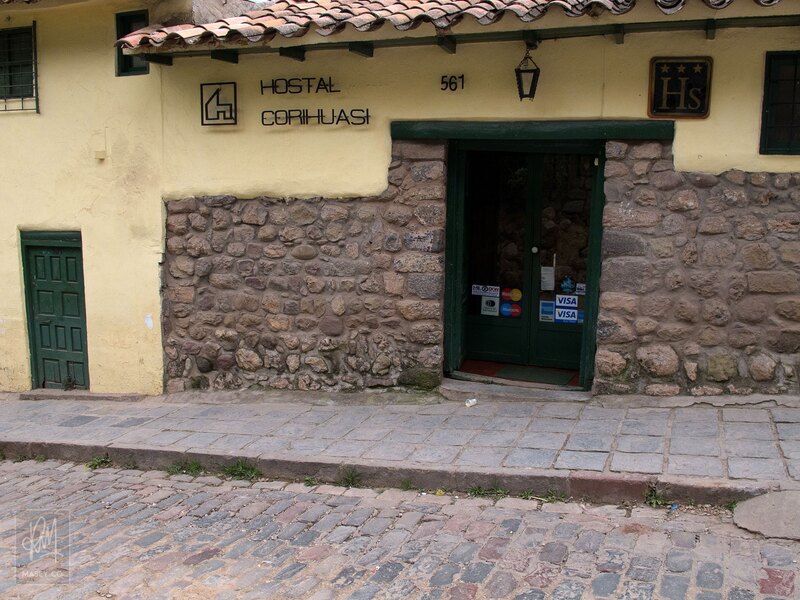 Here we settled into our comfy Hostel Corihausi, got the quick rundown on what to see and where to go from our tour leader, Julio, and we were off! Breakfast was pretty much all a majority of us had on our minds, so the primary goal quickly became finding a fantastic Western-style, Australian-run place to eat that someone had been tipped off about called Jack's Cafe. 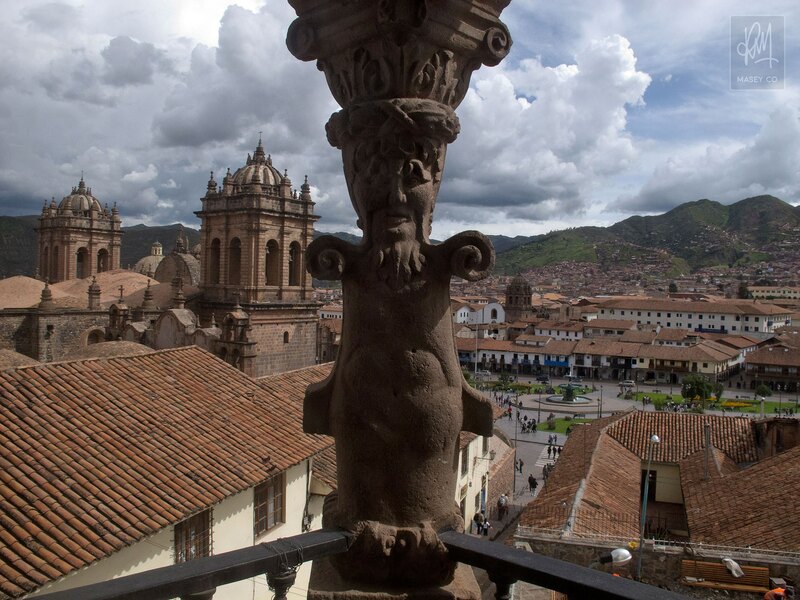 To get there, about 8 of us made our way down into the Plaza de Armas where we were able to catch a decent glimpse, for the first time, of Cusco's impressive Cathedral of Santo Domingo and the Iglesia de la Compañía de Jesús. 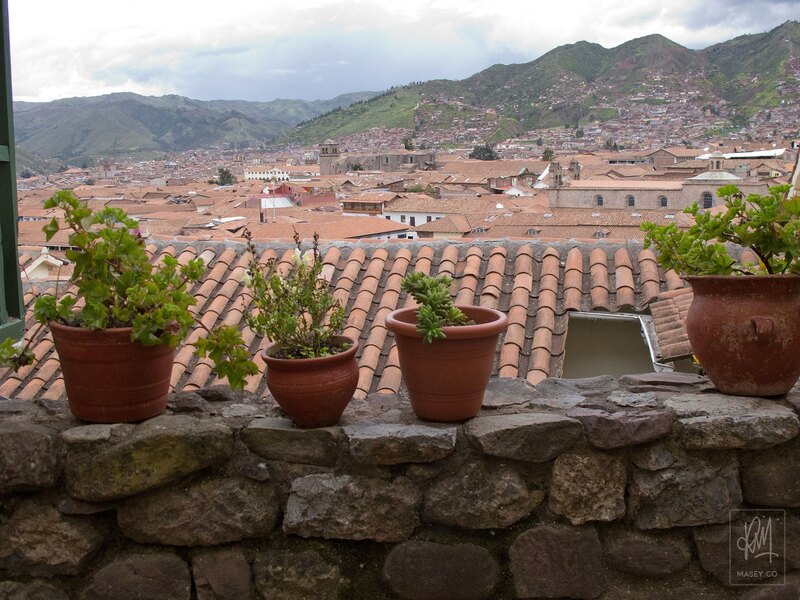 With nothing but food on our minds, we vowed to return to these architectural treats in due course, and instead made our way up an alley known as Hatunrumiyoc where we found probably the most famous example of the incredible mortarless Incan masonry skills that are beautifully preserved throughout Cusco. 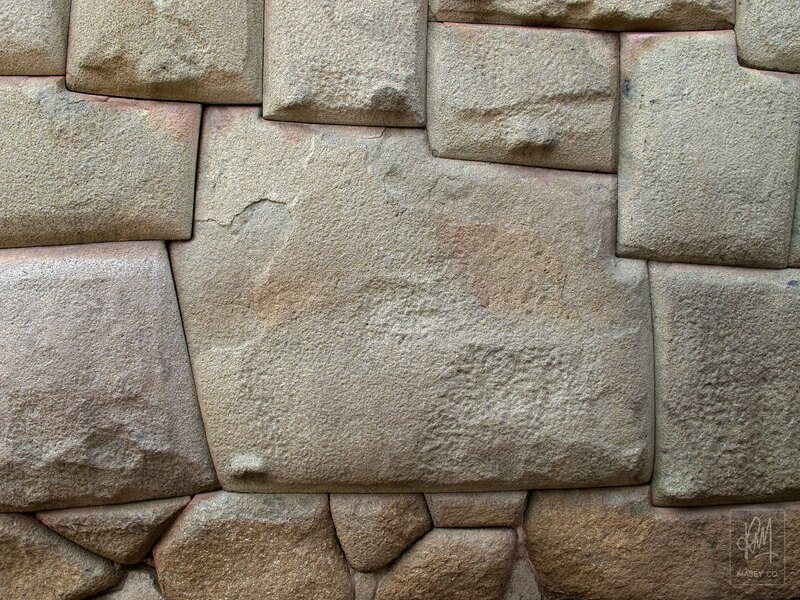 The former Inca Palace wall that lines one side of Hatunrumiyoc features a perfectly masoned "12-sided-stone" that is flanked by no less than 11 other flawlessly carved rocks. This unique, massive stone isn't sign posted, nor is it labeled in any way, but its sheer awesomeness is a bit of a giveaway as you wander down the alley. While I didn't try it for myself, apparently you can't even slide the blade of a pocket-knife around the edges of the 12-sided-stone... the gaps simply don't exist. Amazing! 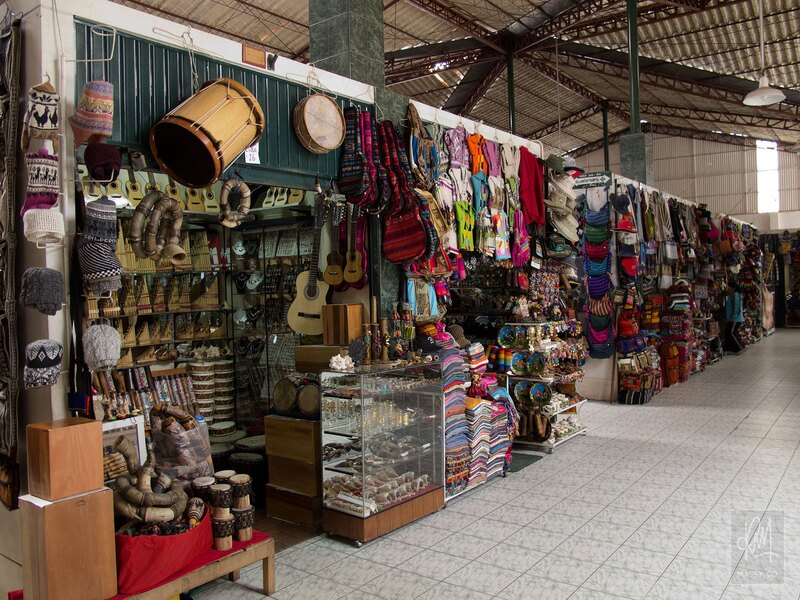 Full bellies complete, and the good stories heard about "Jack's Cafe" 100% confirmed and verified, I headed back through town with Lou, Rob and Johnny, down "Del Sol" to a large indoor market where we had been told we would have some of the best chances of getting good bargains on Peruvian trinkets and souvenirs. With Lou being the expert shopaholic that she is, tagging along seemed like the intelligent thing to do. Before heading into the market, Rob took the opportunity to get what he was promised was going to be a 2 soles shoe shine from an enterprising young bloke. Some smooth talking and a procession of special show treatments and chemicals later and Rob had the shiniest Puma leather trainers this side of the Equator and a bill that had magically risen from 2 soles to 35 soles! Haha! 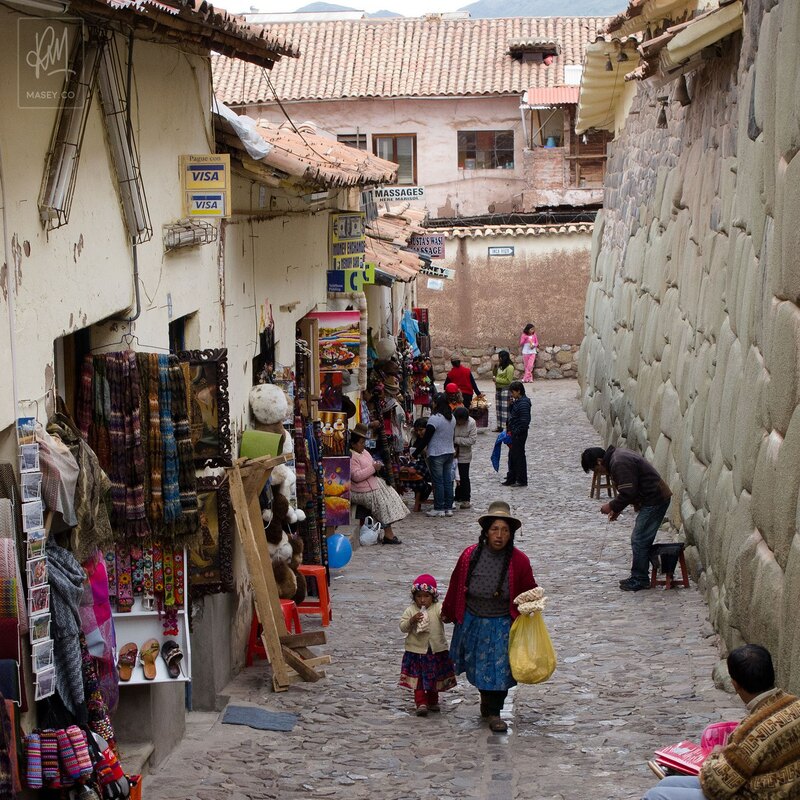 We wandered the half dozen aisles of market stalls for an hour or so with Lou finding all sorts of things to get excited about and Johnny coming closer than ever to finding the perfect Alpacca wool jumper he was looking for. 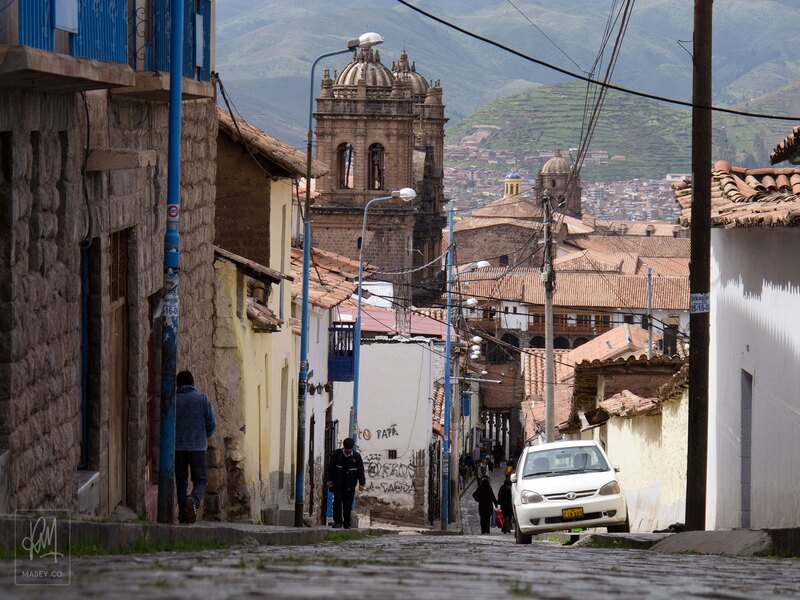 I, on the other hand, felt like I was looking at the same stuff stall after stall, aisle after aisle, so I wished everyone the best of luck and headed off on my own to explore a few of Cusco's landmark attractions. 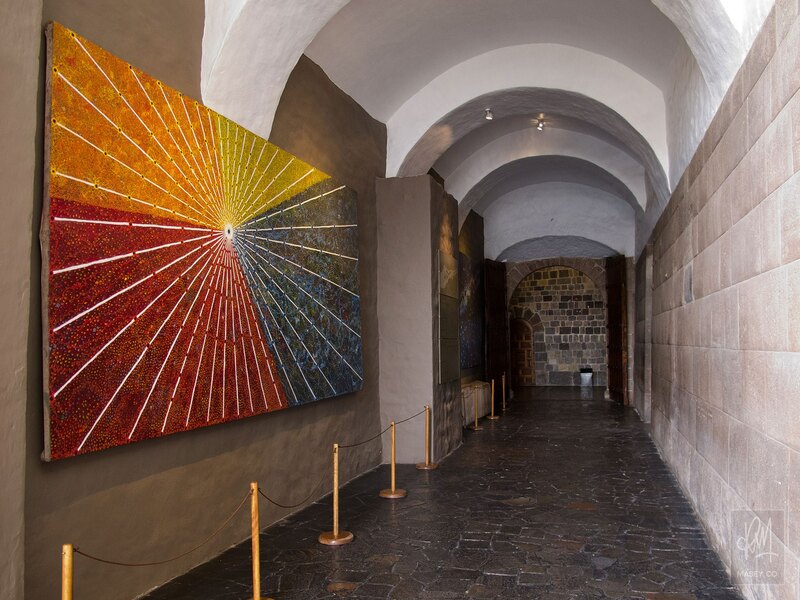 First stop – Convento de Santo Domingo. 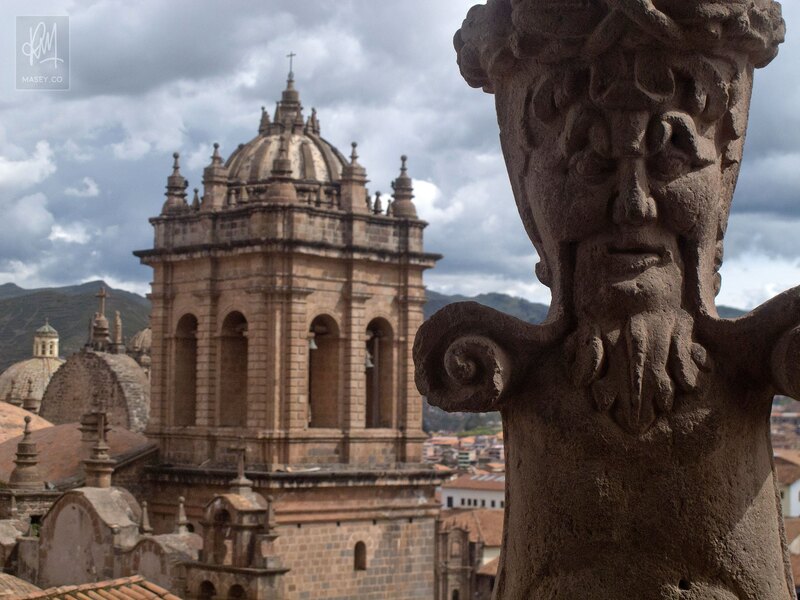 On the surface, the 17th Century Cathedral of Santo Domingo is reminiscent of any number of Catholic churches you see around Europe. 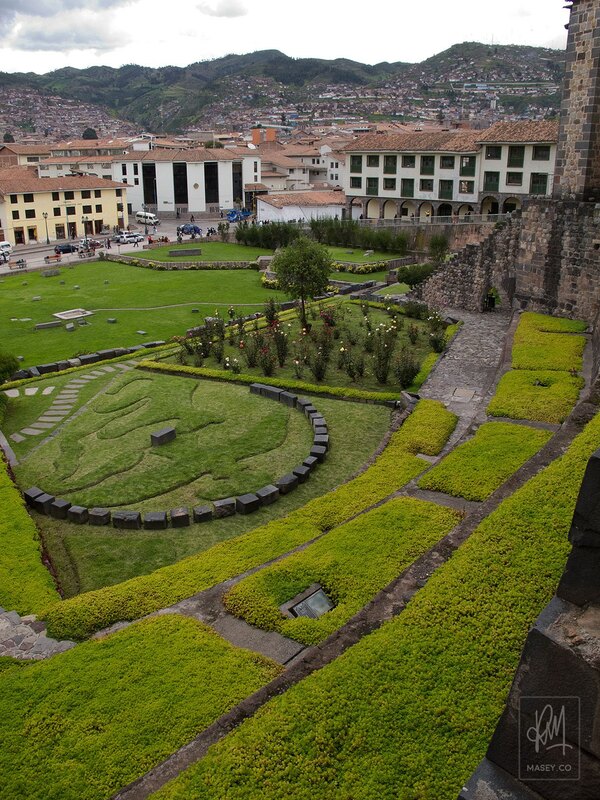 The UNESCO World Heritage Site, however, is perhaps best known for the origins of its foundations and a number of ruins found within the grounds – all remnants of the once magnificent Inca temple known as Kiswarkanchar (Coricancha). 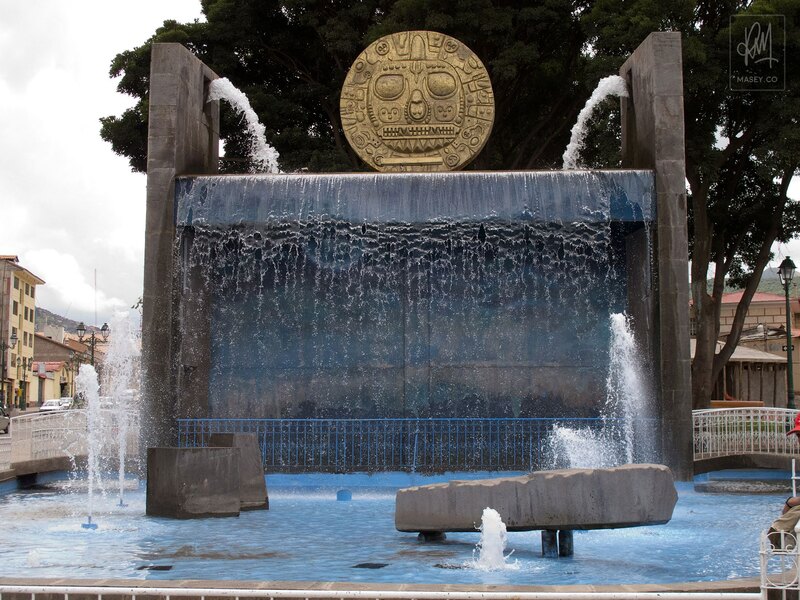 The treasures of gold and silver that were discovered by the Spanish within the "Golden Palace" and "Temple of the Sun" in this location were so vast that it took them almost 3 months to melt all of the precious metals down (thieving buggers)! 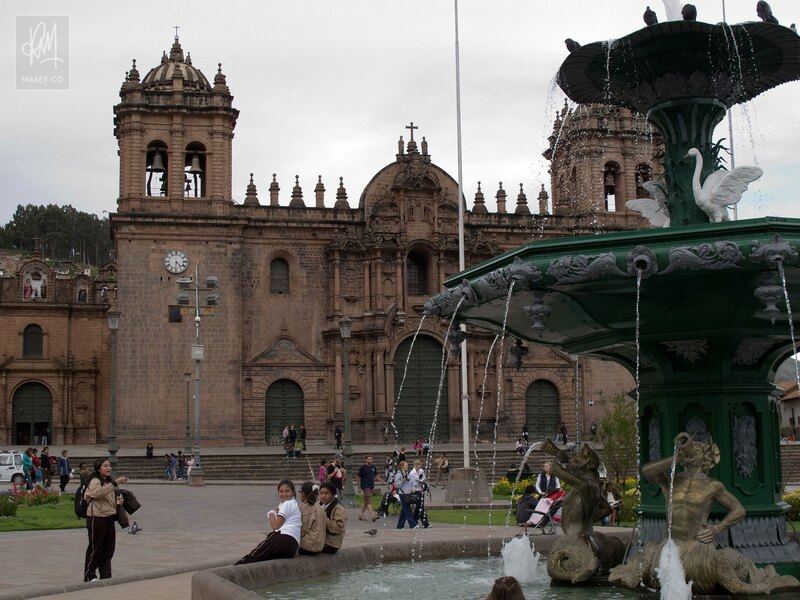 In 1534, Coricancha was turned over to the Dominicans who set about dismantling much of the temple and using the site's stone foundations to build the Cathedral as it stands today. 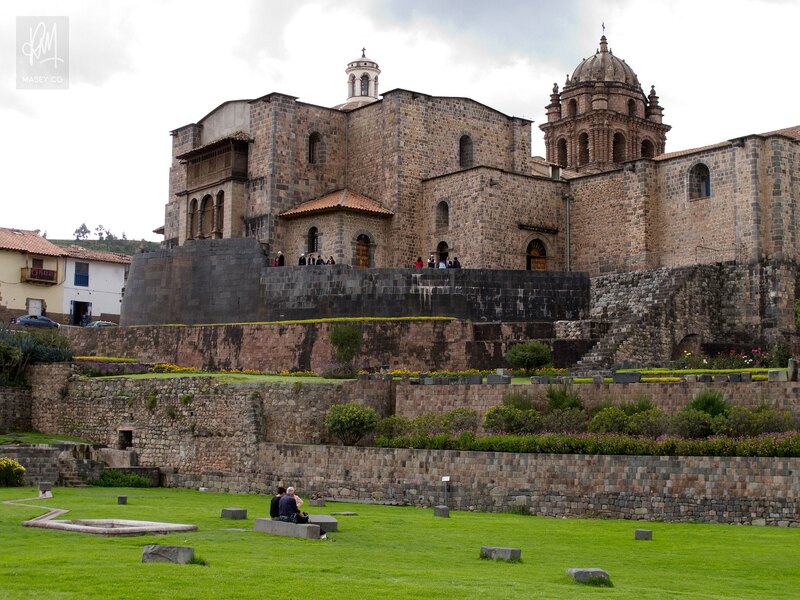 I spent a good 90 minutes exploring the beautifully manicured grounds marvelling at the incredible further examples of precision Inca masonry and browsing the fine collection of works from the "Escuela Cuzquena" (Cusco school) of art. 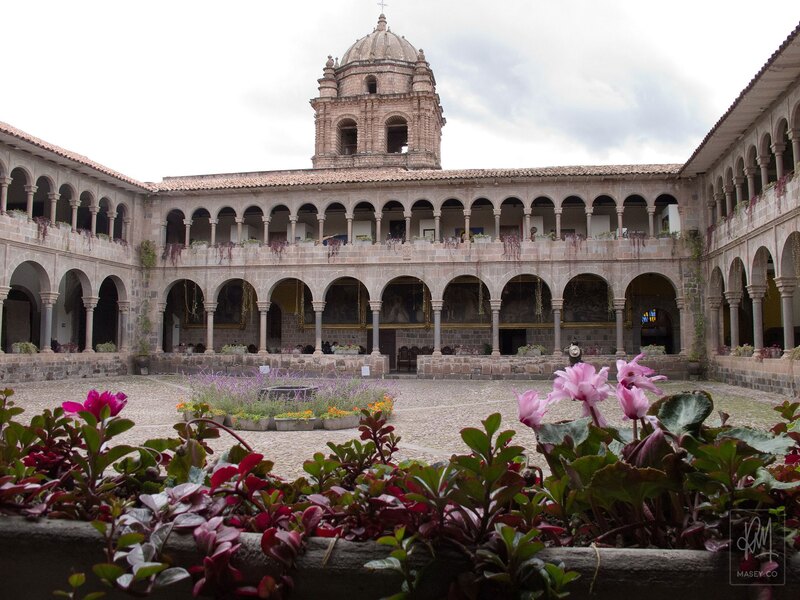 The school was originally set up so the Spanish could teach the Incas the methods and disciplines of European renaissance style artwork. 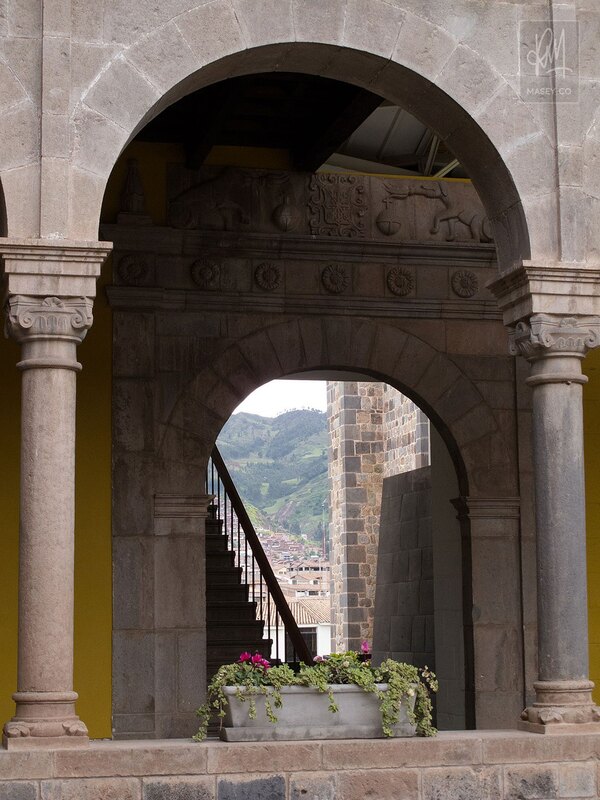 Restrictions placed on the Quechua students of the school were such that their impressive works were not able to be signed. This resulted in a number of noteworthy paintings whose artists will never be identified. 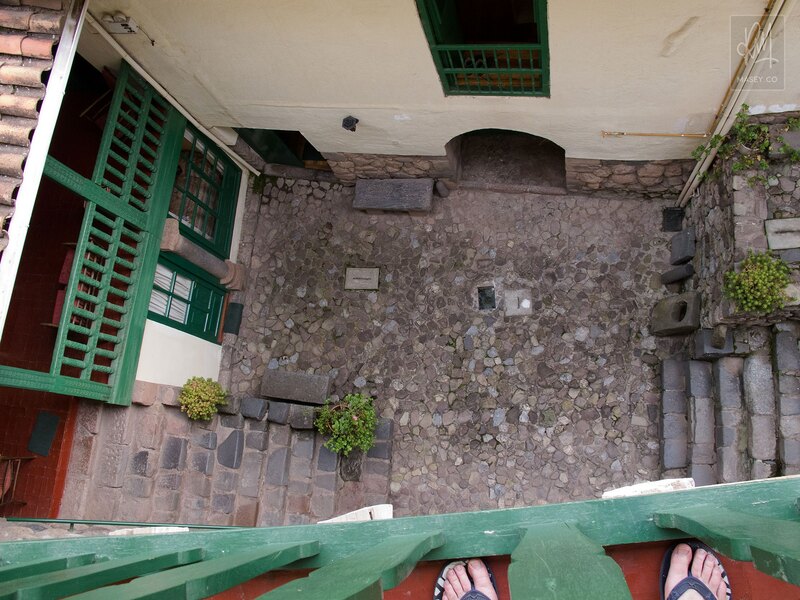 I have to be blatantly honest when I say although impressed by what I had seen, I walked away from the Convento de Santo Domingo with a distinct sense of anger. 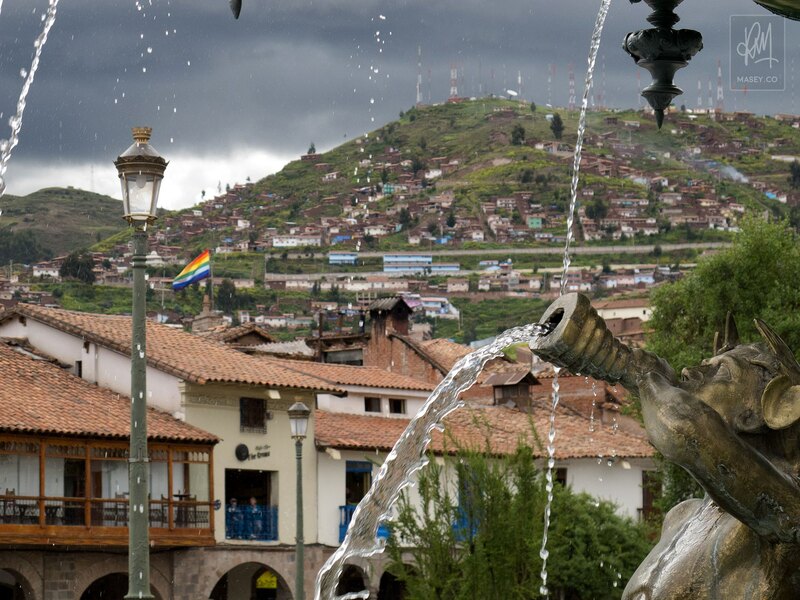 What the Spanish conquistadors and, in particular the Catholic Church, did to a once glorious population of intelligent Quechua people and their Inca culture in this region, is down right disgusting. 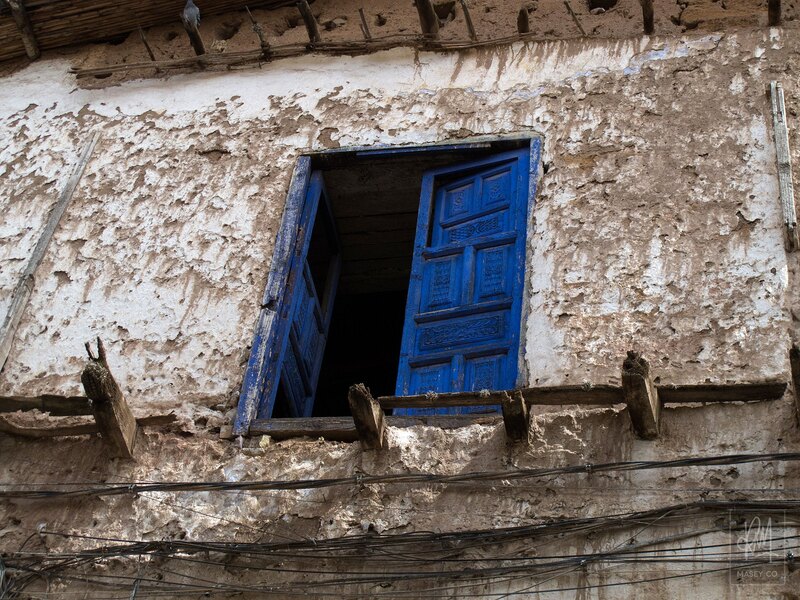 Tearing down their architecture, stealing their riches and enslaving their people – none of this is portrayed anywhere in any of the touristy places I visited today, as being of a negative, destructive nature. 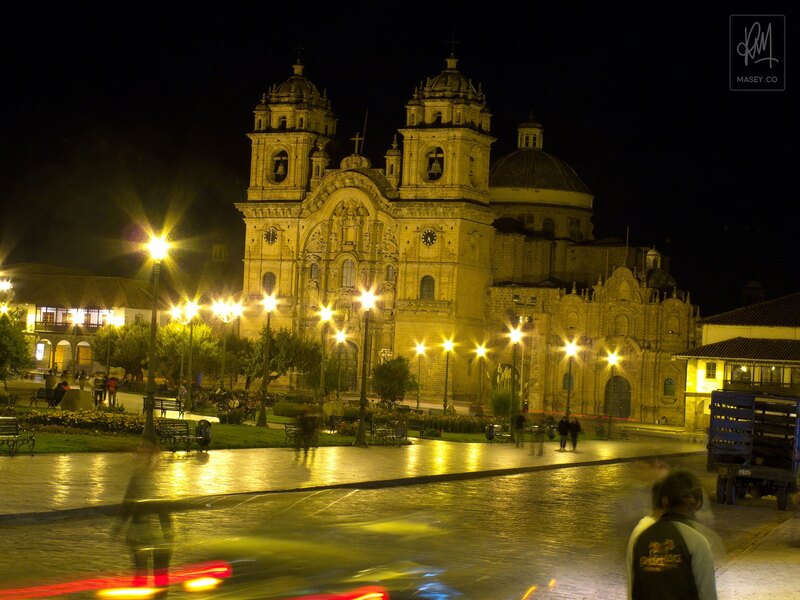 This is no doubt due, at least in part, to the stranglehold the Catholic Church has over the current people of Cusco. It's clearly, and sadly, not the done thing to speak out against the historical crimes committed by the Church. 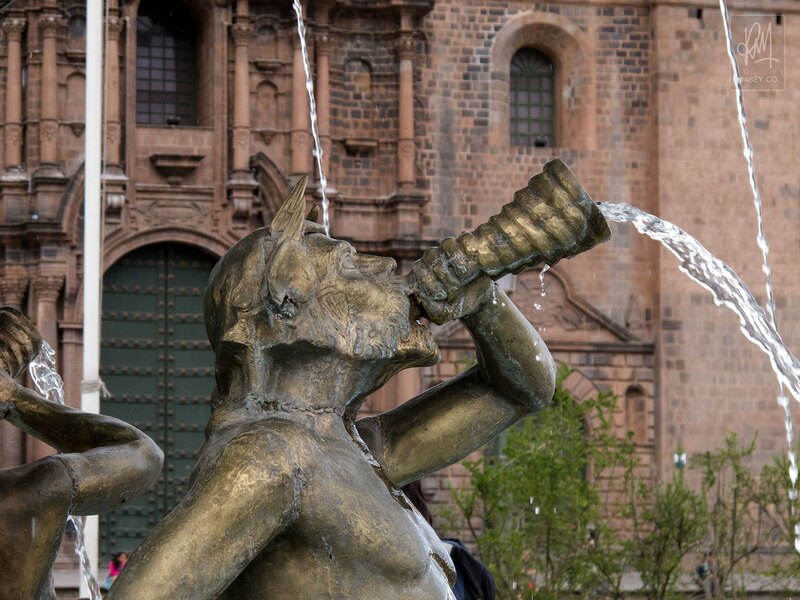 Simmering as I was, I still took some time to peruse the feature piece of Cusco's Plaza de Armas - the "Church of La Compañia". Photography isn't permitted within the three-church complex, so you'll just have to believe me when I say (probably quite hypocritically after my rant just now), it's quite impressive and well worth the visit. 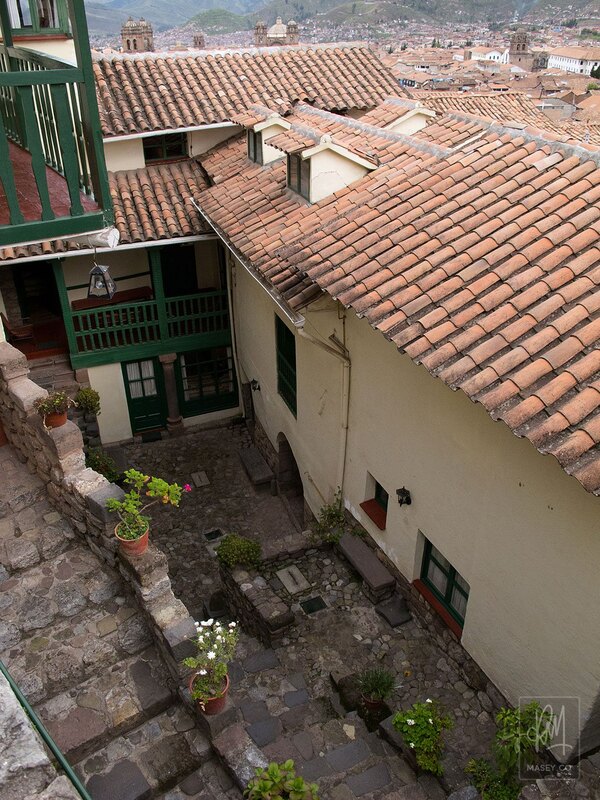 Tucked inside is a number of baroque style ornate alters and Cusco's oldest surviving painting which depicts the devastating earthquake of 1650 which destroyed much of the city at the time. 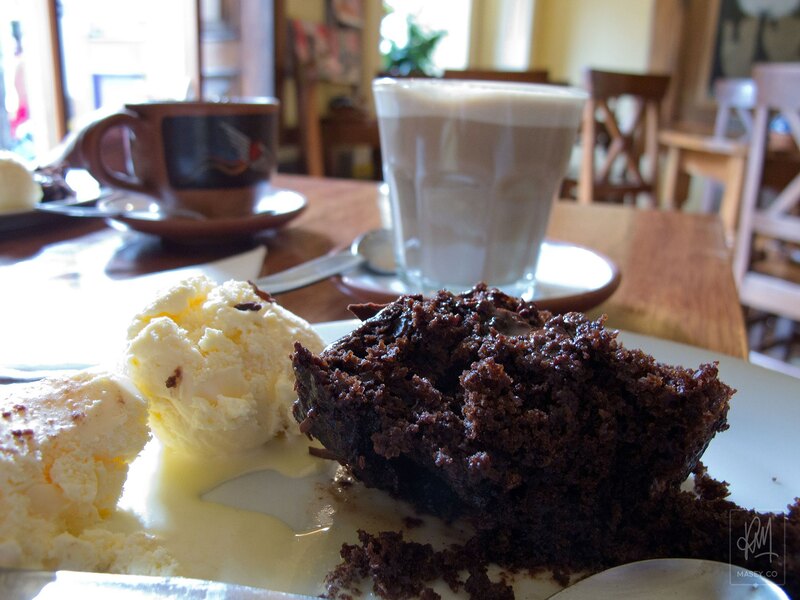 With a few of Cusco's main attractions done and dusted, there really was only one thing left to do with the day and that was to return to Jack's Cafe to indulge in a coffee and large molten chocolate muffin with ice-cream. Heaven! While relaxing and chatting away with Germans Florian and Leonie who had joined me since the cathedral, a young girl appeared at the entrance to the cafe. 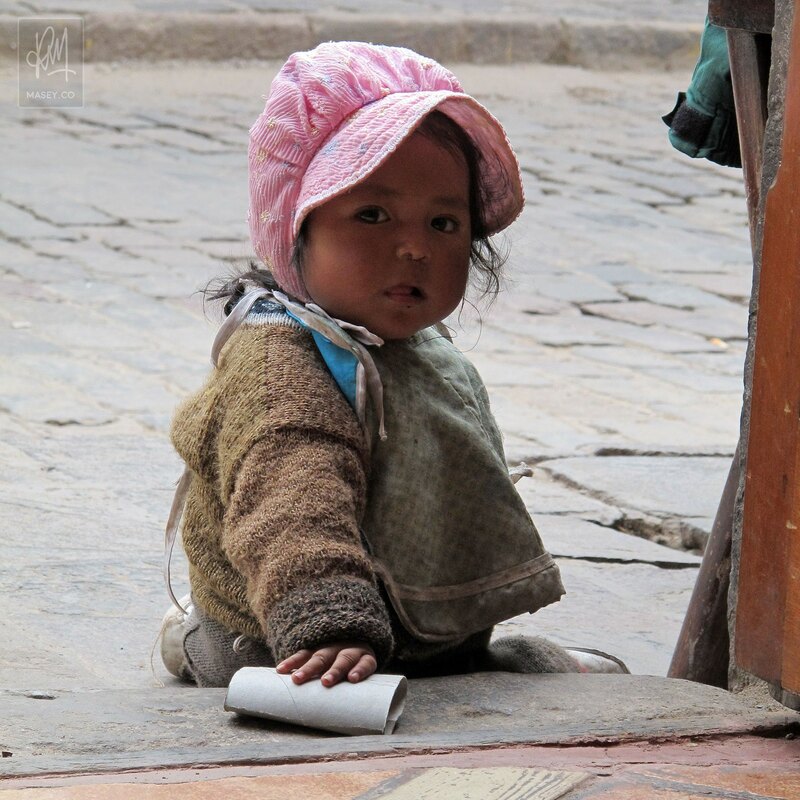 The adorable little thing proceeded to thoroughly entertain both herself and onlookers for quite a while with her antics with a simple toilet roll. It was one of those "you had to be there" moments, but it just showed how in this age of expensive, technical do-dads and thingamejigs, a simple sheet of rolled cardboard can still hold value to those whose innocence is still firmly intact. 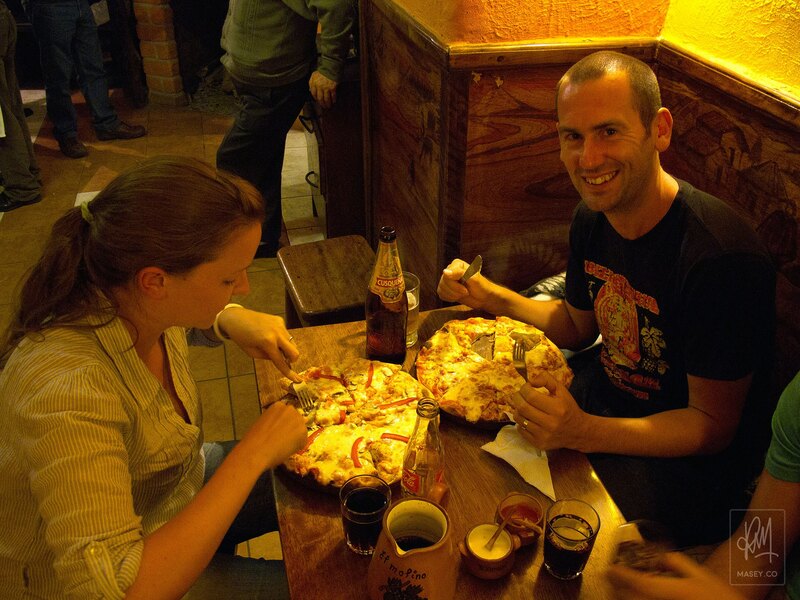 I foresee more visits to Jack's, this little culinary slice of heaven here in Cusco, before our time here is over. 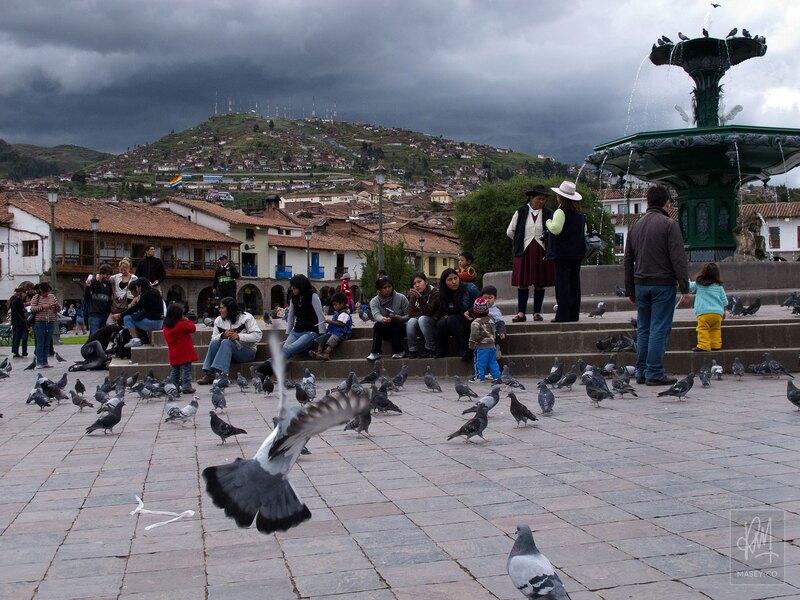 With angry weather rolling in and the daylight rapidly slipping away, the only thing left to do this afternoon was spend some time taking in the sights and sounds of the main square here in Cusco, which seems to be quite the gathering space for the local population. 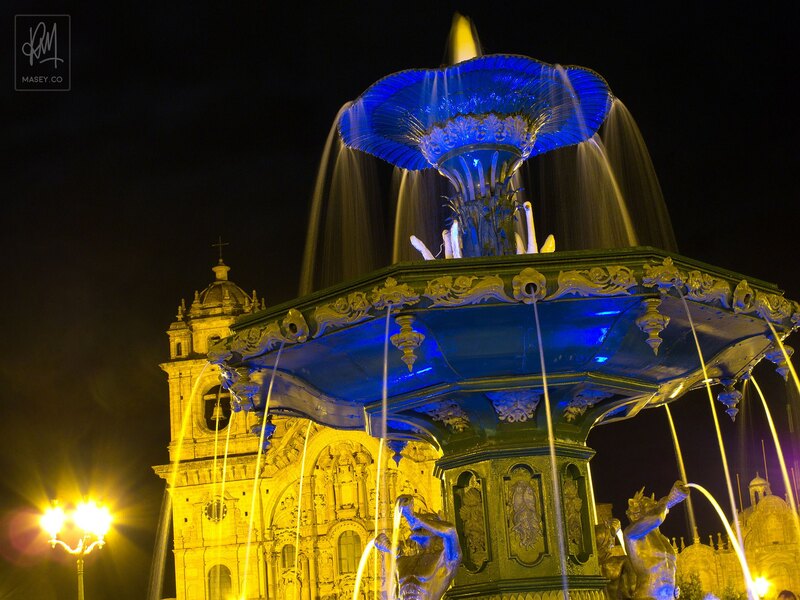 The Plaza de Armas is a large colonial style square consisting of patterned trees, benches and a beautiful bronze fountain which proved to be quite the decent prop for a selection of photos I moved around taking for about 15 minutes. 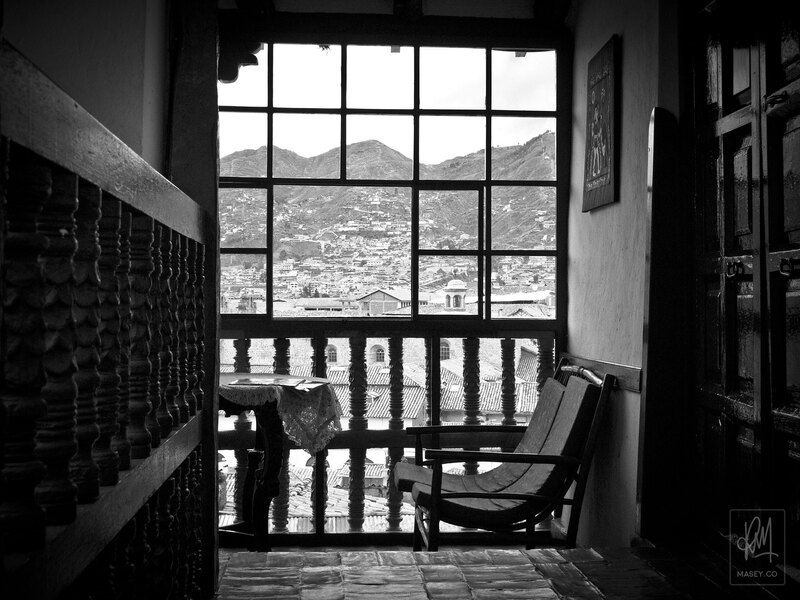 Making my way back up the energy sapping "Gringo Alley" back to our hostel, I found that most of the G group were still out and about in town exploring, or in their rooms resting, so I spent some time taking a few shots of the quaint hostel grounds and the fantastic elevated views you get of Cusco from the many windows and balconies throughout. 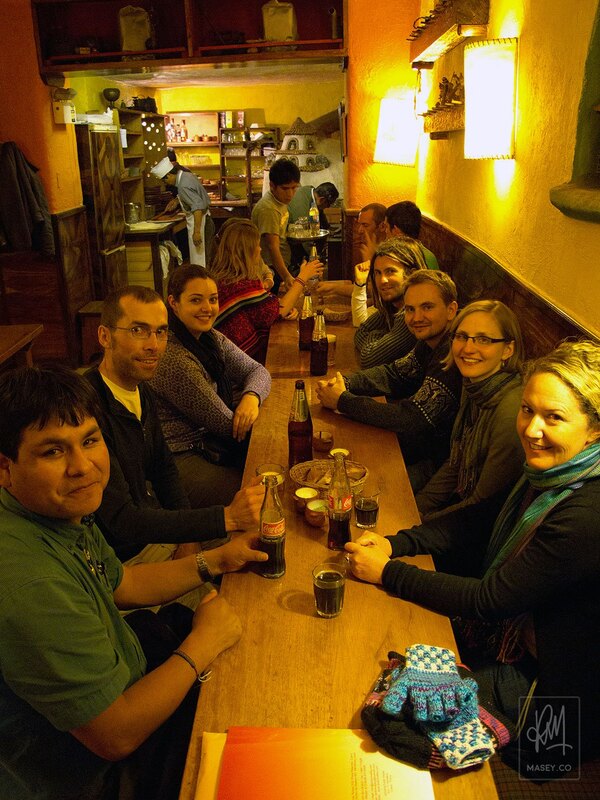 With the sun setting on yet another fun and interesting day filled with historical and cultural learning, Julio gathered the troops together and we all headed back towards the square to find a wood-fired pizzeria that he (a Cusco native) had been visiting since he was a young boy. 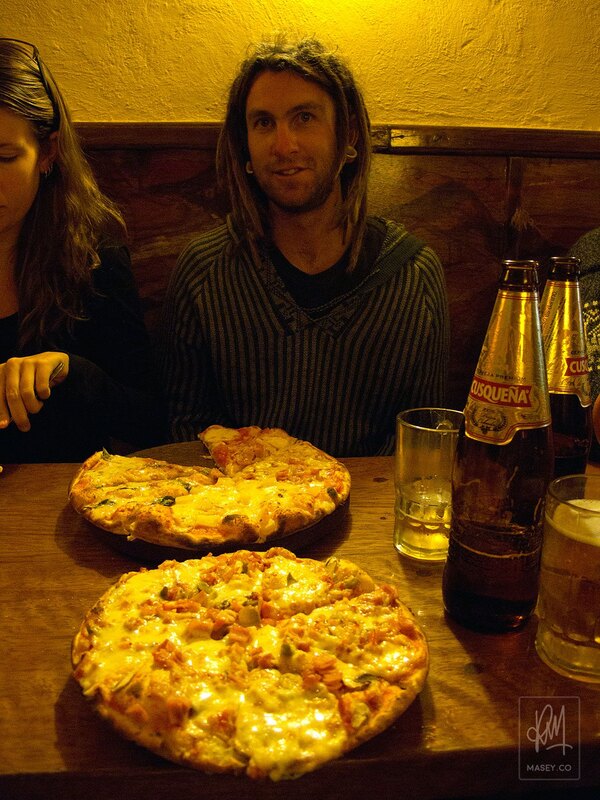 With a testimonial like that, we all had high hopes which, by the time the beer and personal sized pizzas were flowing to our table, were well and truly met. 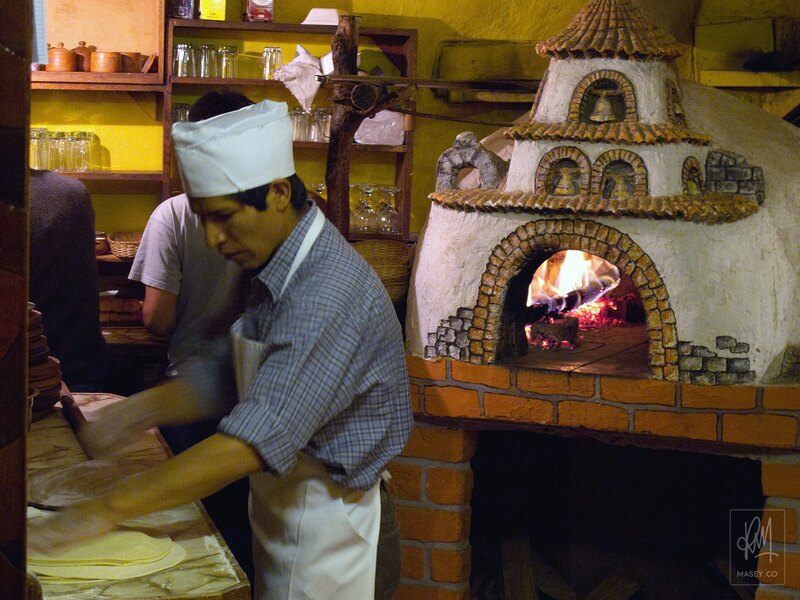 For those of you looking for a good feed of pizza when in town, check out El Molino on Platería Street. 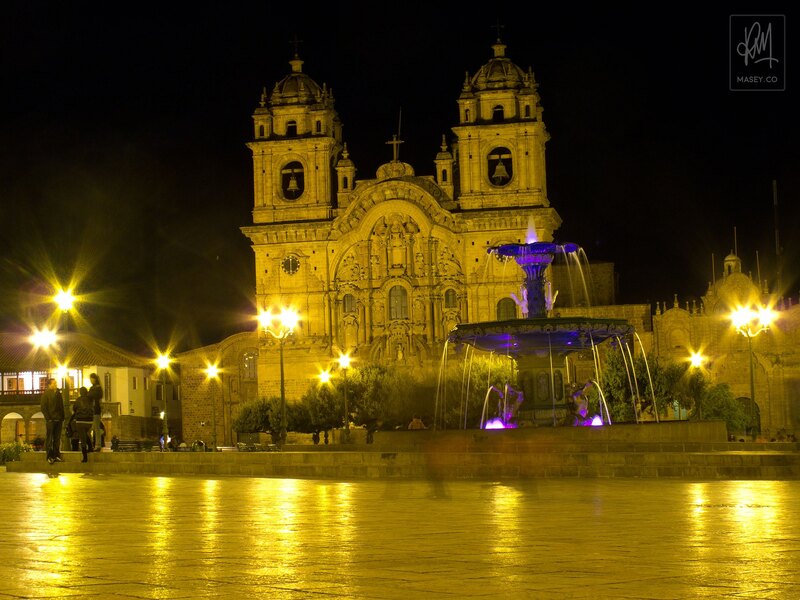 Last thing to do before heading back up to the hostal for the night was to join Rob in a little night shoot around the Plaza de Armas. Not exactly the easiest thing to do when you don't have a tripod on you, but we gave it a crack anyway in a bid to paint a bit of a picture for you as to how beautiful the centre of town is after the sun goes down. 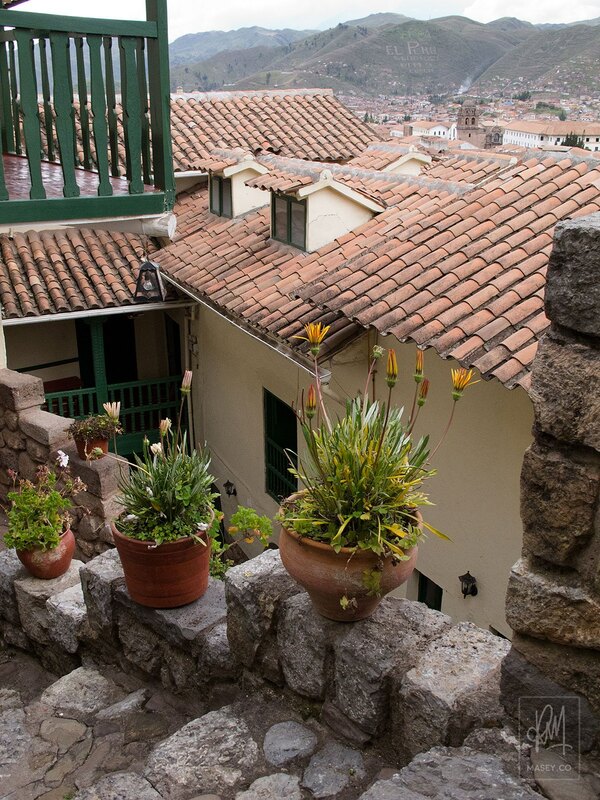 Time to get some sleep now, as in the morning we embark on our quest to reach Machu Picchu, starting with a journey by road into the Sacred Valley! Can't wait!